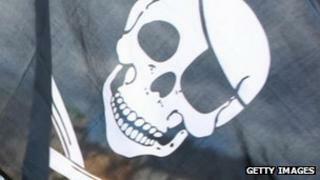 Internet piracy rates in New Zealand have halved since the introduction of the controversial "three strikes" rule, a record industry group has said. The rule allows fines of up to NZ$15,000 (£7,600) to be issued to illegal downloaders caught three times. The Recording Industry Association of New Zealand (Rianz) said 2,766 infringement letters had been sent out. But the group has called for the cost of sending letters to be cut. A handful of users in the country had suffered a third strike, TVNZ reported , but none had appeared before the Copyright Tribunal. However, Rianz reported a significant drop in piracy levels - its data suggesting the incidences of top-200 movies being viewed illegally went from 110,000 in August to 50,000 in the following month, when the rule came into force. But it added that the number immediately "plateaued", and noted that four out of every 10 internet users in the country still accessed pirated material. In an effort to combat this, Rianz wants to up the number of infringement notices to 5,000 per month, with the current fee of NZ$25 cut to about NZ$2. The country's Economic Development Ministry is reviewing the fees. Telecoms companies have argued the cost should in fact be higher. The three strikes rule has faced intense scrutiny around the world, where it has been considered in various guises and configurations. In the UK, the Digital Economy Act was passed by the last government, but the key provision of the act - sending out warning letters - has been continually delayed. The first letters are not expected to be sent until at least 2014. Other anti-piracy measures include the blocking of popular websites used to accessed illegal material - such as the Pirate Bay, which was blocked in April this year. However, the effectiveness of blocking has come under dispute - last week the BBC revealed that, according to one internet service provider, the dip in downloading traffic following the ban lasted only a matter of days. Music piracy - who’s on the moral high ground?